If you count the number of online news sources, blogs, emails, instant messaging conversations and so on that the average person reads every day, it amounts to a massive amount of textual information. So no matter how great the substance of your content, you are going to be subjected to the 10 second rule. Let me explain. Essentially, by the time you finish this article, you’ll know how to write in a clearer manner so that the average reader can understand the gist of your content in 10 seconds or less. The total amount of information we can read, absorb, and actually benefit from on a daily basis is limited and therefore we use a number of direct and indirect mechanisms to filter the information that ultimately reaches us. As an indirect measure, we use social media (which integrates the concept of the wisdom of crowds and social proof) to indirectly filter interesting and useful information from the white noise. Often times, before our content is actually submitted to social media sites for indirect filtering, it has to go through some direct filtering from our own audiences via a diagonal read test. Readers will often read content diagonally to determine its usefulness before giving it a proper read. And in order to pass this direct filter test, you need to write for “diagonal” readers who scan your content from headline to close in a zig zag pattern. Most of these diagonal readers give the content a first pass by reading an article passively—just like one would browse a magazine, look at photographs, or watch television, i.e. they’re not really paying attention to the small details, rather they are waiting for something to really pop out at them. The average reader reads about 240 words per minute, where as a diagonal reader ‘reads’ (actually scans) closer to 15 words per second or about 900 words per minute. So, there are at least three, and up to five important sections of an article that a diagonal reader will see in the approximately 10 seconds they’ll initially allocate to your content. The title or headline of your post. The subtitles or subheadings within the post. Any bold, underlined, quoted, or otherwise highlighted text. Pictures, graphs, charts, or images of any nature. We have previously examined the how to write social media compatible titles, so let’s look at some of the other components you should pay attention to. Here are a few questions to keep in mind and questions that you should try to answer at the end of each article you write. Do you make a unique new point or are you just regurgitating information? Is it possible to summarize the point of your article in 2-3 sentences? Is the point you’re trying to make apparent? Do you really have something to say? Asking yourself this question allows you to determine if you are actually creating value for the reader by providing new information or unique insight into a matter or if you’re just regurgitating information that has already been covered elsewhere. If you answer to this question in the negative, you need to toss out the article and start from the beginning because if that’s the case, the diagonal reader is going to skip the article anyway because she probably has already seen it elsewhere. It’s ok to explore the same information you’ve seen elsewhere, but ask yourself if you are approaching it from a fresh angle. If not, start over. Is it possible to quickly summarize your point? Once I finish reading your article, if someone comes along and asks me what I’m reading and what it’s about, will I have to think and decide what your point is or will I say it right away? If you’re making an argument, the point itself should be reducible to 2-3 sentences and the rest of the space should be used to walk the reader through your reasoning and explain to the reader how you get to the conclusion. If you start diverging and arguing several tangential points in the same post, you risk confusing the reader. In most cases each point can have a post of its own and you shouldn’t feel forced to bundle different things together. Does your post title reflect what you’re going to write about, or at least give enough of an indication to arouse curiosity? Do the subtitles make it clear that each section within the post will point-by-point defend your main argument? Are you using images to contextualize your argument or facilitate the reader in understanding what you’re saying or are you just using images to fill the space? Title of this post: The 10 Second Rule: How to Write for Diagonal Readers. 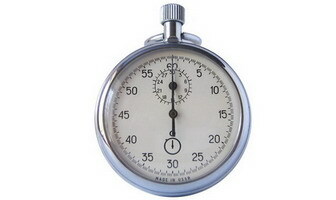 Visual: The image of the stopwatch reinforces the headline and dramatically intensifies curiosity. Summary of this post: “Essentially, by the time you finish this article, you’ll know how to write in a clearer manner so that the average reader can understand the gist of your content in 10 seconds or less.” This is prefaced by the words “Let me explain,” which is a key transitional phrase that catches the attention of a diagonal reader. Subtitles: Each subtitle provides support for the main idea and gives clues to what can be learned from reading more closely. From these quickly-digestible clues, both your regular readers and social media readers can evaluate the merit of your content. After that, people will read more carefully, submit it to Digg, Netscape or other social news site, or maybe simply vote positively for your content and even link to you. It’s the 10-second rule. Does your content pass the test? Previous article: Once More With Feeling: Has Your Writing Got Soul? Great post as usual Mu. This just goes to show how important headlines really are. I agree wholeheartedly that the amount of information we have is overwhelming. So much so that I advise clients of a “2-second rule.” Maybe I just scan more than the average person. Andrea, I think the topic/headline itself is subjected to the 2 second rule, and sadly most content doesn’t even make it past that point. Good stuff. I am diagonal reader. I scan titles in my rss reader, and if it catches my eye then i give a try for the openning line, if it is of some interest, i try picking the bullets and bold types to try to absorb the essence, then i might be reading the whole artice. That is why i likce concise posts, with empasized punch lines and good titles. Very nice tips, and it is great to emphasize the need to spend some time in formatting the style of the post, it helps readers (and writers a great deal). It’s almost like what Syd Field says about screenplays. If you don’t get the reader’s interest in the first 10 pages — which makes up the first 10 mins of the movie, it’s not going to do well. I was definitely skimming through this post, but I got the main gist of it. Good point. This article trigger me to reconsider writing an excerpt for every post. If I can’t write a good excerpt for it, it probably doesn’t follow the 10-second-rule. Thanks for this post, great information! Moreso it helped a scanner like me to absorb the information. Great way to practice what you preach! Such an astounding post! Well then, this serve as my guide in writing my content! Well done! Great post – I myself am a very Diagonal Reader and quickly flash through my feedreader to see what headlines and especially graphics grab my eye. Subtitles for me are also very important with the use of the H3 tag, something which you’ve demonstrated nicely in this post! Love the post – hate the css – I know many other readers who do what I do when they surf – that is, continually select and de-select piles of text. Your css makes it appear as if the text I select is not selected, which makes me want to chew my arm off. Hmmm, thanks for the info Matthew… I had never considered that because I’ve never heard of anyone reading that way. You take care of that arm now, you hear? IMO, this post could have been condensed and allowed me to scan even faster. My #1 rule and recommendation: Get to the point. If it’s filler, cut it out. Don’t write words just to take up space. Don’t reiterate anything. Don’t state the obvious. Dense writing is good writing. Matt Kruse – good impersonation of Polonius. How true it is. Information overload is how we live now a days. I’ll stop writing now because you stopped reading at the first line. I actually highlight sentences as I read, like Matthew does. And I noticed the same thing when I first visited CopyBlogger. NOW I CAN DIE!!! I’M NOT ALONE!!! A brilliant post! Rock-solid information on social media copywriting. Hey, great post! Thanks! My blog posts are usually longer and more in-depth than most. My goal is to provide a quality post every time so my readers don’t feel “slighted” by shoddy content. But I never considered the “diagonal reader” I think adding subtitles to my posts, as a way of breaking the information down might go a long way in helping my readers digest my lengthy posts! Is diagonal reader a standard term? I’ve never heard of it before. Interesting points though. I definitely agree that people are feeling information overload these days. I try to keep my blog posts and business communications as succinct and clear as possible. I even read an article recently that suggested people stop sending emails for the sole purpose of saying thank you for something the recipient did. I think we might be going too far though when we omit common courtesy to reduce the amount of words we see each day. Great points, with the advent of RSS good headlines and concise opening summaries are VERY important. I keep the articles in my reader pretty darn short and open the ones with interesting headlines and summaries in tabs to read fully. I found myself diagonally reading this article. nice job, made me realize my own reading habits. Very good point about the headline. So many sites get viewed daily, its easy to not think of the different reading styles. Very informative. We are a world of skimmers with short attention spans and tottering egos. Wow, This is something that I have overlooked for the past years. Amazingly overlooked. Thanks for this very comprehensive information. Now I can start implementing the 10 second rule. Fantastically useful post. Thank you so much for that. So many things that I shall take on board.